Fashion, Technology, Brands, Business, Law. Fashion and tech continue to merge in thrilling ways. One of the most exciting has been born out of a recent collaboration between Levi Strauss and Google. Levi Strauss is not well-known for its tech ventures, yet there’s something about the partnership that makes perfect sense. 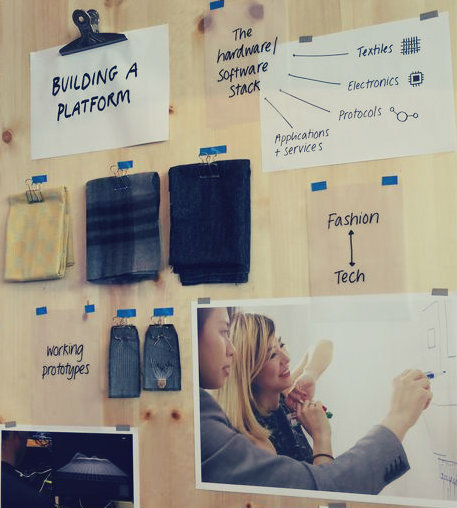 What do the iconic denim brand and the tech super-power have in common? Simple – both brands have delivered undeniably iconic products and become global household names. Project Jacquard aims to develop interactive fabrics that empower wearers to use their phone by simply tapping or swiping their clothes. Soon, silencing a call or sending a text message could be as easy as a shimmy or a shake! Retro Orange Tab makes a come back this season! An opportunity to be present in the moment without the invasion of screens and technology is emerging and the simplicity of the production method makes it ever sweeter. How is this done? Via a standard loom, replacing the normal thread with a conductive yarn. Such insight suggests Levi’s contribution is far more involved than may appear on the surface. The 1853 established company is the daddy of denim: it’s globally renown for its heritage Orange Tab flares to its 501 Originals! In line with this is Google’s reputation as our go-to search engine. 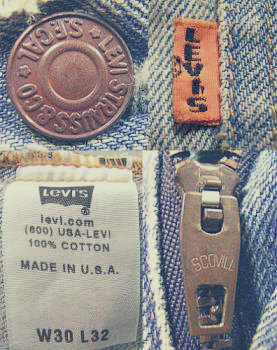 Levi’s presence will be a crucial factor in the credibility and design of the future product, a much-debated topic in the fash-tech sphere! Customers who might normally be put off by a function over style concept might be swung by a warranted trust in the Levi’s brand. Of course, this is just the beginning. With interactive fabric now developing into a relatively easy concept to pursue, partnerships such as Levi Strauss and Google could fuel many more similar collaborations. Might we be observing the birth of the ‘Super Jean’? Sarah Simpson is a City lawyer at an international law firm and specialises in Intellectual Property and Commercial law. She is originally from Lancashire in the North of England, and currently lives and works in London.